In early 2011, I made a commitment to learning the fine art of building and promoting the agency’s brand through content marketing. Enter Michael Gass. A long-time ad agency vet specializing in New Business Development, Michael launched his own Content Marketing / Social Media consultancy in 2007. Since then, he’s taught the same fundamental system that I learned to more than 200 ad-agency CEO’s. Is your market right for content marketing? Is it worth your time? Although the talents Michael helped me develop added an invaluable dimension to my arsenal, my investment took years to generate a positive return — at least in terms of new business. The market I targeted (trucking companies, specifically driver-recruiting departments) simply wasn’t actively seeking content in early 2011. On the other hand, in late 2016 my dear friend Bill Ratliff hired me to develop and execute a content marketing campaign promoting his Mediation practice — and it’s been wildly successful. (More on that shortly). Which brings us to an obvious question: Is a content marketing program worth the inordinate amount of time and effort it takes you to do it right? Answer: It depends on your market, and the niche you intend to establish in that market. Do it yourself. Or not? Let’s assume you sell to a market that’s ripe for content marketing. Now let’s assume you have the time needed to generate the kind of content that will effectively position you as an expert in that market. The next question is: Do you have the talent and resources necessary to create great content in-house? If not, hire an expert. It’s not about “selling.” It’s about providing value. Here’s the main thing that separates “good” content from “bad” content: The objective value it provides to readers. Yes, the primary reason you want to launch a blog is to increase your business. But if your posts are simply one overt sales pitch after another, your efforts are doomed. The point of content marketing is to position yourself as an expert by providing information people can use to benefit themselves; thereby creating the kind of goodwill for yourself that can pre-sell prospects on you before they ever pick-up the phone to call you. And therein lies one of the great beauties of effective content marketing — and I speak from personal experience: By the time I picked-up my phone to call Michael Gass in 2011, I’d already read enough of his material to convince myself that this was the guy I needed to hire. Where to begin? With the brand, of course. The most effective marketing blogs are not presented as mere extensions of a corporate identity — but rather, as impartial sources of information. That starts with a blog name that speaks to your area of expertise. For Bill’s blog, I came-up with the name Mediation Insights. Once you have a name, you need a good masthead / logo. You can see Bill’s masthead — his entire blog, for that matter — by Clicking Here. 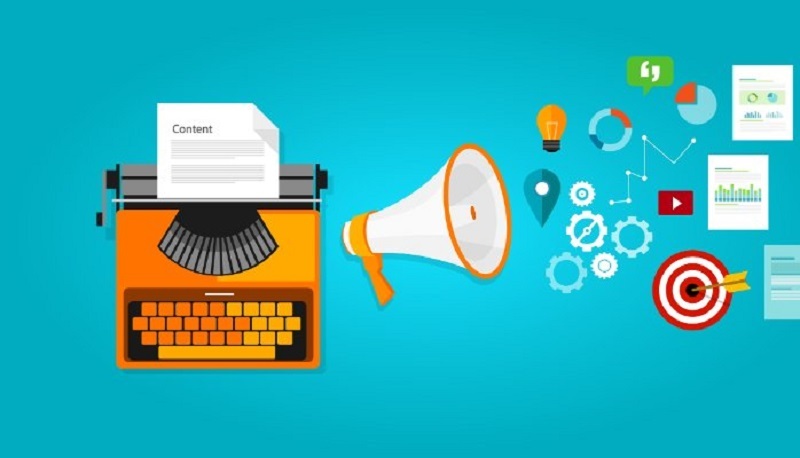 How do you reach prospects with Content Marketing? Let’s assume you’ve developed a solid body of effective content (I’d recommend writing at least 5 to 10 posts before publicly launching a blog). How are you going to attract readers? By promoting it through targeted emails and Social Media. Which begs the question: Which Social Media? Twitter was, and is, tailor-made for the market Michael Gass targets — ad agencies. Bill Ratliff’s audience, litigators, is much likelier to be found on LinkedIn. But where Bill has generated by far the most interest has been his bi-weekly emailing campaign. Given his personality and reputation (I honestly can’t imagine anyone not liking him and respecting his insights), busy attorneys will actually stop what they’re doing and open his messages — then read his posts. They must be, given the boost his practice has received. Remember that “wildly successful” claim? We publicly launched Bill’s blog January 18, 2017. Six month later, Jessica Vickery (Bill’s legal assistant) reported that his case-load by mid-June was just six shy of his total case load for 2016. Existing content finds a new home. And a good one at that. That said, I’ve re-published a few old driver-recruiting posts from my blog on LinkedIn — and while a typical article generates a fraction of the impressions I got through my Twitter feed in 2011, now people are calling me. In fact, one of my LinkedIn articles generated a “Great Post!” comment from the CEO of Celadon — one of the trucking industry’s largest companies, with annual revenues of roughly $850 million. No word yet on whether he’s pre-sold on the idea of turning-over his multi-million dollar ad account to yours truly, but I’m keeping my fingers crossed. The original version of this article was first published in the premiere issue of BhmBiz. ← What’s Behind Coke’s Latest Flop?